Debbie Lynne Costello is the author of the #1 Amazon bestseller Sword of Forgiveness, a medieval romance. She has enjoyed writing stories since she was eight years old. She raised her family and then embarked on her own career of writing the stories that had been begging to be told. She and her husband have four children and live in upstate South Carolina where she has worked in many capacities in her church and is currently the Children's Director. 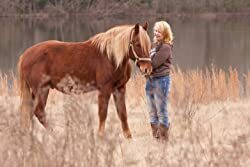 When not spending time with her husband, four children and grandchildren she hangs out with her Arabian and Tennessee Walking horses. Thanks for having me on your blog! Looking forward to chatting with your followers. Loving the blog tour!! Each one makes me want the book even more :-) Thank you for your participation in the tour....Debbie, you already know that it's on my MUST read list :-) I'm super excited at the chance to win a copy! Hey Trixi! I love seeing your name on each blog! Thank you for following and being so faithful! I hope you win one of these. Hey Linda thanks for following the tour! So good to see you here.